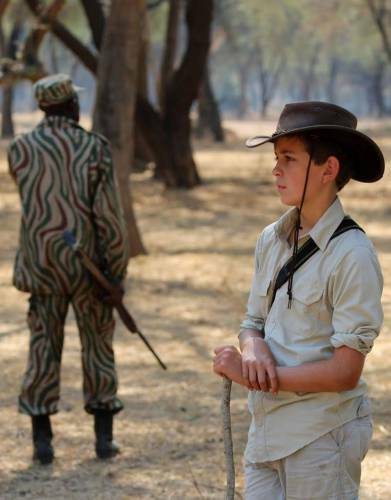 Full of features for comfort, convenience, and protection, this shirt is ideal for your child’s safari. Styled to be practical, it also looks great for adventure travel, outdoor hobbies, and daily wear. 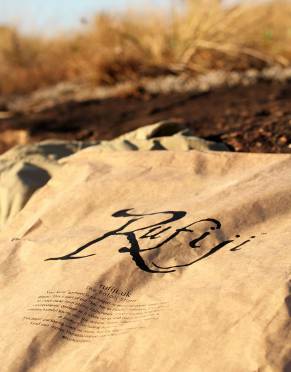 We have extended our Rufiji™ range to include children's safari clothing. 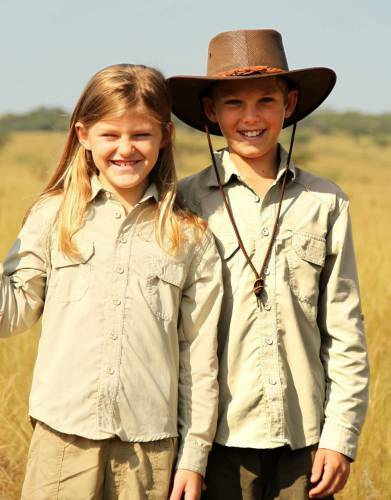 The MaraTech™ Long-Sleeved Safari Shirt is the first and most important piece in our range of safari, travel, and outdoor clothing for children. 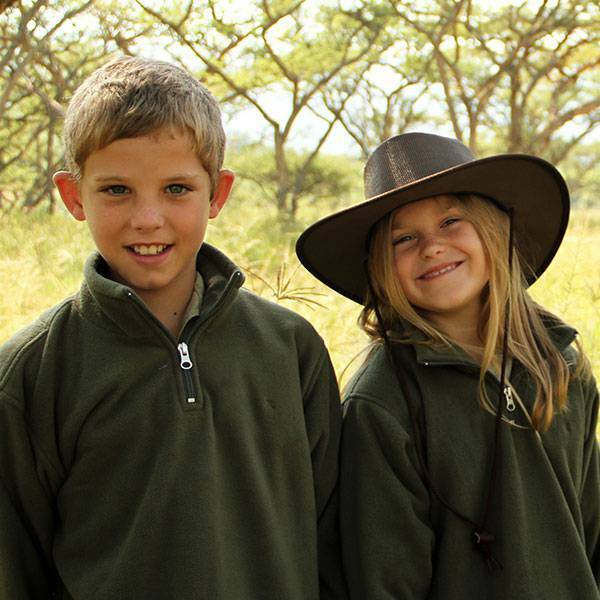 We strongly recommend wearing long-sleeved shirts on safari as they are very adaptable and afford protection from the elements - roll up your sleeves when too hot and secure with the sleeve tabs, roll down your sleeves for protection from the sun or when it gets chilly. 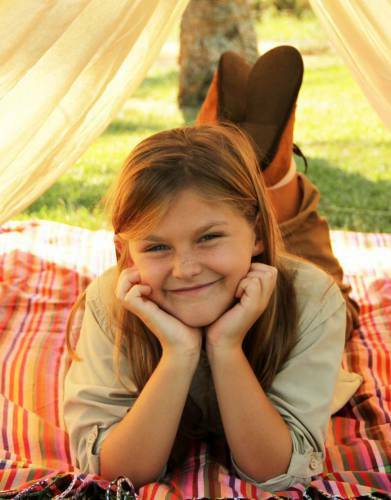 This is important in ensuring that your child's skin is protected from the sun and their protection is further enhanced by the built-in UPF30 sun protection. The Skin Cancer Foundation recommends a rating of UPF30 or higher. 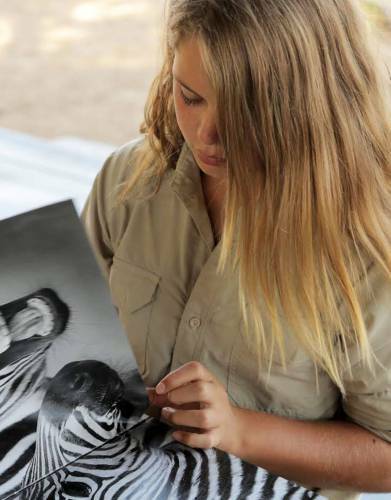 In developing our clothing, we looked at the elements we felt were important once out on the open savanna, dense tropical forests, while travelling, or for your child’s outdoor hobbies and adventures. MaraTech™ Ripstop fabric sets itself apart as being cool, lightweight, yet very strong. Its moisture wicking capabilities draw moisture away from the skin to keep you dry and comfortable in warmer climates and the fabric has a sun protection rating of UPF30. The SilverPlus anti-bacterial technology keeps your shirt smelling fresh between washes. It is also quick-drying and easily releases wrinkles, making it perfect for travel. 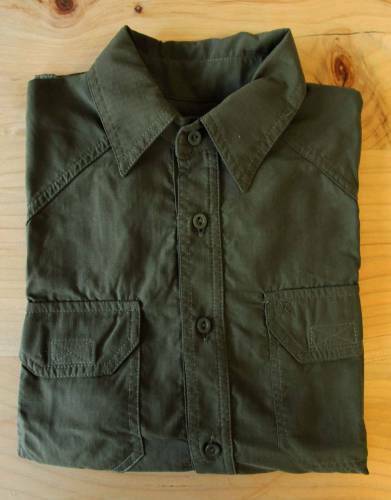 In addition to this, the shirt has two chest pockets which are secured with Velcro for quick and easy access. 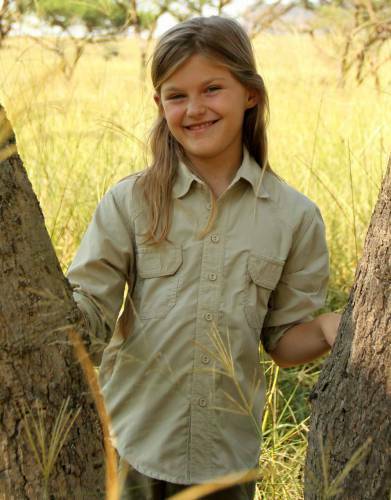 The features of this shirt combine to make it the ideal safari shirt for your child – one that is built tough to be used time and again for fishing trips, hikes, and long days outdoors. ⊙ UPF30: The Skin Cancer Foundation recommends a UPF rating of 30 or higher. Our MaraTech™ fabric will protect your skin from harmful sun exposure - in effect, sunblock for your clothing. 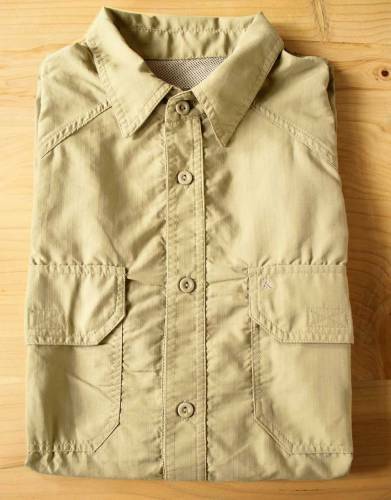 This shirt has a sun protection rating of UPF30. ⊙ POCKETS: Two functional chest pockets which are secured by means of Velcro for quick and easy access. ⊙ MATERIAL: Made from 100% Ripstop MaraTech™ (polyamide) fabric with built-in wicking, UPF30, and anti-microbial finish. STEP 1: You will need a measuring tape, a flat surface such as a table, a notepad to record your garment's measurements - and your own collared long sleeve shirt which is a comfortable fit. ⊙ Tip: If you do not have a measuring tape, use your credit card. The long side of a credit card measures 8.5cm and the short side is 5.4cm. Simply use the centimetre measurements on our chart and divide by 8.5cm to get an idea of how many credit card lengths equals the measurement you are recording.